Looking forward to an upcoming visit to Frankfurt but struggling to put together a list of places to visit? Worry not – here are a few events that are fun for the whole family. Cheap flights are easy to find with a few minutes on the web. 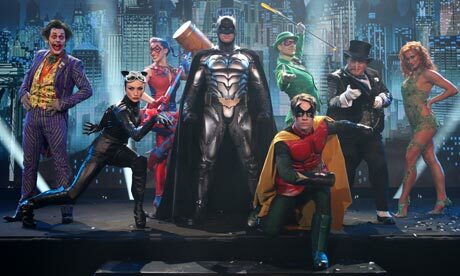 If you are lucky enough to be heading over there in time for January 2012, then you have to catch the spectacle of Batman Live. This show will absolutely amaze you and children will also certainly love it. The show is one of the biggest productions you have ever seen and takes place on a huge stage over 30 metres in size. Batman Live has nearly 100 different actors, acrobats and performers and mixes amazing special effects, dance routines and death-defying stunts to produce one of the most amazing shows. It is on from the 25th- 29th January 2012 and tickets cost from 20-100 Euro’s depending on your seat. 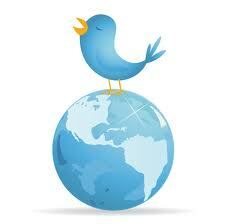 If it all sounds a bit too hectic, then maybe you would prefer to visit Beauty World. This happens at Messe Frankfurt throughout January and is an annual event that sells unbelievably cheap cosmetics, spa treatments and products to soothe and treat like no other. There are also plenty of beauticians on hand to help with your make up, give you a manicure or even treat you to a special massage there and then! It is also a great place to get hold of some discounted perfumes. It costs 26 Euro’s for an adult ticket but you will be treated to an overwhelming amount on offer. There is plenty of entertainment and you can easily spend a whole day getting one treatment after another. There are also concessions available for children and senior citizens at just 14 Euro’s. If you are visiting Frankfurt in May, then a little tip is to pop into Goethe’s House in the centre and check about the Night Of The Museums. This happens throughout May every year and basically allows visitors to use a shuttle bus that will take you to various museums that stay open late so that you can take in a number of museums on just one ticket. Frankfurt absolutely loves its cars. So why not treat yourself to the annual International Automobile Exhibition. Here you will see over 1500 different exhibitors from 42 different countries showing off their concept cars, current cars and cars of the future. You will be able to ogle the most beautiful cars and even get in some of the most expensive hyper cars in the world. The show is around 15 Euro’s for a full day ticket. The doors open at 9am at the Messe Frankfurt and stay open until 7pm, giving you a good full day to get around. It happens in September and is easy to get to by using U-Bahn Festhalle/Messe, with nearly one million visitors every year! Hop on a flight with Easy Jet and get to see some of Germanys’ best visitor sites for family fun!